I get asked A LOT, what it’s like being a Virtual Assistant and what exactly I did to get my VA biz off the ground and bloomin’. I am more than happy to oblige because I know there are A LOT of moms/women stuck in miserable dead-end jobs like I once was. I think they secretly want to know if I am starving to death or ready to fade away from boredom. I also think they want/need HOPE that there is something better out there for them. There is indeed and NO, almost five years in I am NOT starving and/or living under a bridge. It takes a lot of hustle, but my biz had grown every year and NOT ONCE have I had the urge to scoot back to the 9-5. There are other options on earning a Steady Income from Home that doesn’t include being a VA, but the title of freelancer/virtual assistant is so broad and encompasses SO MUCH. The possibilities are ENDLESS. SO…first let’s discuss the answer to the question; What is a virtual assistant? I can personally give this one a Big.Giant.YES. A lot of work at home Moms I know are VAs and they make good incomes from the comfort of their home, without having to leave their children in the care of others. Virtual assistance is a home business, which means it’s flexible. You decide how many hours a day you want to work, on which days, what type of work you want to do, and even whom you will work with. I love that I can be available to get my kids off to school and be there for them when they get off the bus. On the other hand, if you have small children, it can be a little trickier. Occasionally you will need to be on the phone or Skype with a client, supplier or other associates. In this case, you’ll need somebody else looking after your small children so you can have some quiet and be able to focus on the call or chat. This time of year is such an amazing time to delve deep into either your business or personal life (or both) and laser in on what needs to happen and/or change in the upcoming New Year. 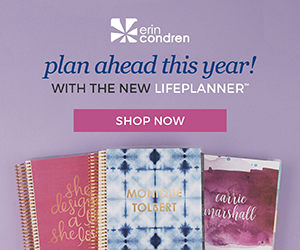 I am eyeball deep in two different courses right now, Michael Hyatt’s Platform University and Erin Condren’s too. Both are rockin’ my world and I truly, truly wish I had more time every day to work on the lessons. Thaleia Maher from Something2Offer and I have joined forces to co-create a series this month called What it Takes to Be a Virtual Assistant. She and I have had so many valuable discussions about being virtual assistants and working from home that we decided to get serious about this topic and create something that will really help readers understand what a VA is, and move forward in their quest to become one. This list is bursting with awesome info. What it Takes to Be a Virtual Assistant: I’ve Hired a VA: NOW WHAT? Tons of “getting started” info from what kind of gear will you need to where are the best places to find clients. Did I mention it was free? Best of luck to you on your new quest! Next Post FREE 90 Minute Virtual Assistant Social Media Training at VANetworking!